Oh no! Daleks times four! 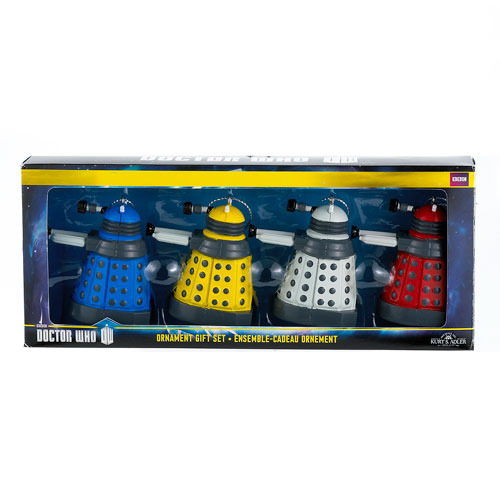 Beware of Daleks bearing gifts, but run don't walk to your computer to order this fantastic Doctor Who Dalek 2 1/4-Inch Mini-Ornament Gift 4-Pack containing blue, yellow, white, and red versions of the cyborg mutants. What would the holidays be without a little extermination? Window-box packaging. Ages 15 and up.